This book was a drain on my heart, and it felt so good! 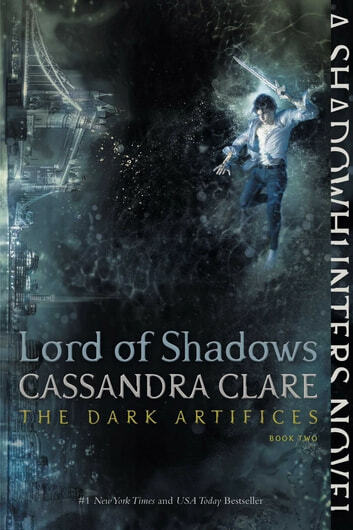 This was a big, big book that once again delved deep into the intricate, political, and mystifying world of the Shadowhunters. 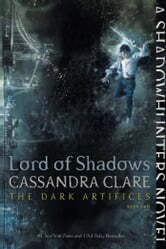 That said, most of the book dealt with relationships (yes, specifically the romantic ones) of our favourite Nephilim. While this significantly carried the book along, I can't deny that it was compelling and overwhelmingly romantic. Clare is one of my favourite romance writers because her scenes and descriptions are beautifully vivid and strikingly realistic. The romances and love triangles were sweeping and thrilling and helped layer these already complex characters. I really enjoyed the extra mysteries brought to life revolving around Faerie and its inhabitants, and while there were some plot threads left open, it's clear that book three will be an explosive on. It's hard to nail down a favourite moment or scene, but I have to say that while I love the relationships between Mark and Christina, Kit and Ty, and of course Jules and Emma, it's Diana's unexpected relationship that really stirred me. Such a moving moment in the story and something I wasn't expecting at all. I really liked this book and while that 2 year wait is going to drive me nuts, I'm willing to do it! Whenever I get to the end if one of these books I'm disappointed I have to wait for the next release. This did not disappoint. Can't wait for the next one! Excellent book. I love this type of lecture. I also Love the entire series of mortal instrument. Loved it, although not as much as the original series. It was definitely a whirlwind of emotions. Good work. What a fantastic adventure. Although the ending left little to be excited for. I can't wait for the next book, hopefully everything will be made right.